I did. Just now, I said it. It’s hard to believe that it’s been a nearly whole year since Malt Advocate’s WhiskyFest in NYC! 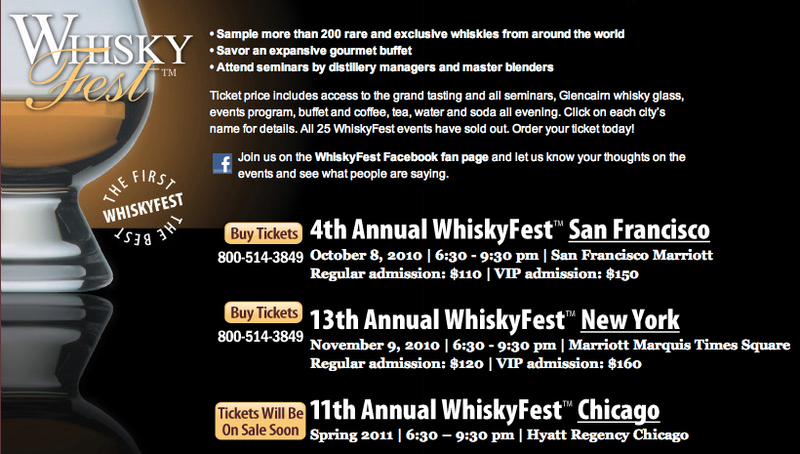 Come this November, however, WhiskyFest is returning to New York and it’s going to be huge. While my focus is on the New York City event, don’t forget that WhiskyFest hits two other cities: Chicago & San Francisco (the San Fran event, BTW, is happening on Oct 8th). This tasting room, hosted by Richard Paterson, third generation master blender for Whyte & Mackay, will introduce participants to one of the most awarded single malt scotch whiskeys, The Dalmore. Paterson is known the world over for his exceptional blending skills which have resulted in signature expressions that suggest depth, character and richness. He travels the world selecting the finest barrels and blends the aged liquid from these until the result is like a fine orchestra – harmonious, elegant and rich. In this classroom setting you will taste through The Dalmore Core Expressions with Richard while learning the finer points of tasting. Don’t be surprised when he picks you to taste ‘the most expensive liquid in the world’. Everyone knows that Bourbon is made primarily with corn, and most enthusiasts would know that there are “traditional” Bourbons that add rye and “wheated” Bourbons that substitute wheat for the rye. But what exactly are the differences between these common “small grains”, both in the taste of whiskey and in the production methods? Join legendary Heaven Hill Master Distiller Parker Beam as we explore how these grains behave on the palate and in the still, in Bourbon mashbills and in straight rye and straight wheat whiskey recipes. Yamazaki Master Distiller, Mike Miyamoto is a respected leader who has a great commitment to excellence and tradition. Join him as he leads a tasting of a full flight of Yamazaki and Hibiki whiskies. Experience the smooth, complex and uniquely Japanese characteristics that have made Yamazaki 12, 18, and the exceptionally rare 25 year old, international award-winners. Mike will also present Hibiki 12, first seen by Americans in the feature film “Lost In Translation”, starring Bill Murray and Scarlett Johannson. Hibiki 12 has just been introduced to the American market and is no longer “lost” to American whisky lovers. “Suntory Time” is not to be missed….. The Classic Malts Mentor seminar uses the expansive knowledge of the Diageo Masters of Whisky to educate scotch enthusiasts on a sampling of the Classic Malts Distiller’s Editions. This multimedia, multi sensory seminar takes you through the history, production process, regionality and most important the flavor profiles of this vast selection of Single Malt Scotches. You will leave the seminar with an increased confidence to order your new favorite Single Malt Scotch Whisky. Our seminar will cover the history of The Glenlivet, and the role it played in building the single malt scotch whisky industry during the 1800’s in Scotland and more recently, the 20th century in the U.S.
We will then step through the basics of scotch whisky production, highlighting the key elements of our production process that differentiate The Glenlivet from our competitive set. The big finish will be a tasting of six marques from our core range. End your WhiskyFest™ New York on a high note; come and sample “the best spirit in the world”* with Martin Daraz, native Scotsman and Brand Ambassador for the Highland Park Distillery in the USA. Ever wondered how the use of different casks imparts flavors into your whisky? Laphroaig Master Ambassador Simon Brooking will walk you through a tasting of four expressions of Laphroaig and will show you how the use of different casks including a Maker’s Mark cask as well as former Sherry Casks impart specific flavor profiles into each whisky. Recreating America’s original whiskey one small batch at a time and discovering why young whiskey is better than immature whiskey. So, if you like what you see (how could you not? ), I would suggest securing your tickets ASAP as they’re selling quick. I was just informed that the VIP tickets to the NYC event have been sold out! 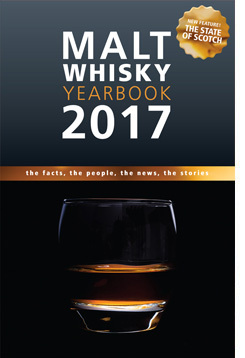 Click here for more info: Malt Advocate’s WhiskyFest in NYC!